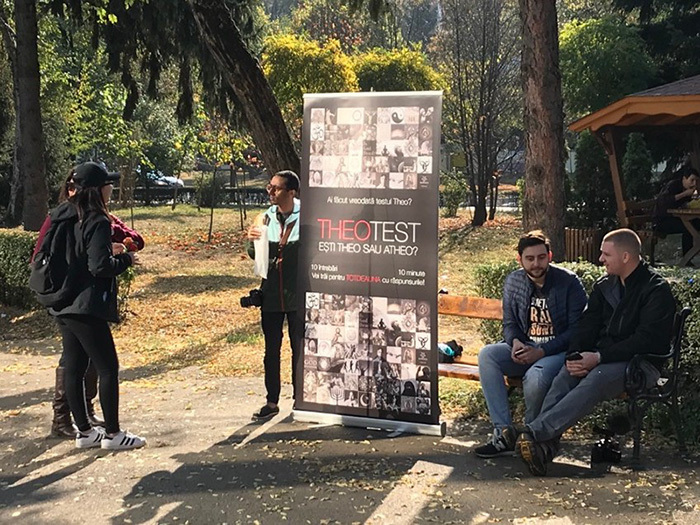 After months of preparation, we just finished our first Ten Days campus outreach in Timisoara, Romania, and our team of over 20 has returned to the US, the UK, and Ukraine. The revolution that ended Communism began in Timisoara in 1989 when a Lutheran pastor started a protest that ignited the revolt against Ceausescu’s oppressive totalitarian regime. Myra and I will remain another week in Timisoara for follow-up and developing the local team, and our first meeting after the outreach is tonight. Our outreach focused on two universities that are side-by-side with an associated student village that includes dorms and cafes. The combined student population is over 40,000, and our team began engaging these young people the day after they arrived. We had more than 200 gospel conversations over ten days with some encounters lasting 3-5 hours. 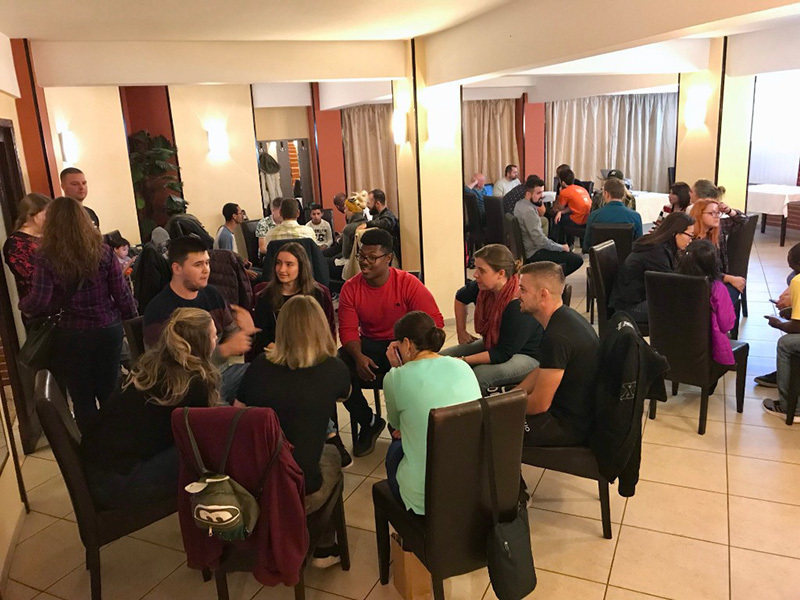 Our evening meetings included a short presentation on human identity, purpose, and meaning followed by group discussions. Three people have been saved so far with over 20 wanting to be involved in continued discussions. We encountered atheists and even a Muslim student who wants to continue to meet, so we really need your prayers. One student who is an atheist – at least for now – even corrected the faulty arguments of some non-Christians, and he wants to continue to meet with us. 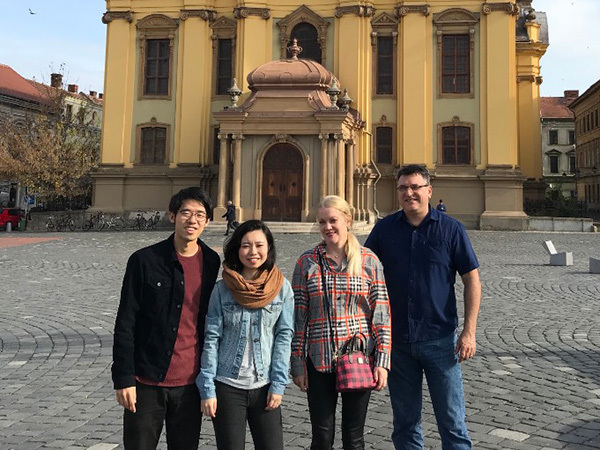 Our other church planters, Yujiro and Natsuko Takagi, who just relocated from Japan to the capital, Bucharest, are visiting us for two days for fellowship and some future strategy, and we are looking forward to their startup in the coming months. In fact, Yujiro has already started meeting with students in his city. Please continue to pray for our follow-up and discipleship as well as for pastor Remus, Andreea, and their local team. We have had a very good start, but we need God’s continued power and grace as well as more team members for here and Bucharest. Thanks for standing with us! If you’d like to make a contribution to the Watkins’ ministry, you can do so right here.